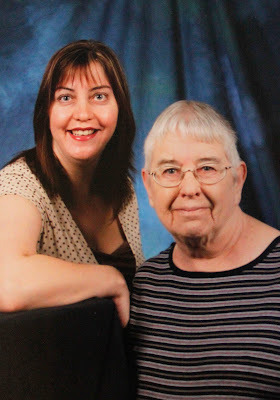 The last 15 months have been very difficult for me and my family; Mom's illness, slow diagnoses, surgery, nursing home placement and lastly, her passing. Even though I knew for months that my Mom was dying, it still shocked me when it happened. My Mom was also a wife, grandmother, aunt and friend, who will be missed by all who knew her. Below is a poem Mom chose for her service. Will ease your sorrowed mind. As you helped me live mine. Faith will see you through. With courage, I leave you. Remember me with thoughts of peace. Live each day with your heart. Beautiful blog Angie - I am sure your Mom is looking down proudly smiling at you.